Flip the script on handset durability. In mission critical situations, getting the basics right is everything. 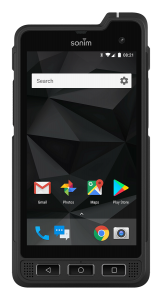 And for fast, easy and reliable communication, the Sonim XP3 is as dependable as they come. 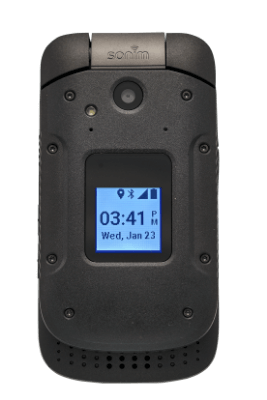 FirstNet and B14 ready, Military rated and with Noise Cancellation, this ultra-rugged flip outperforms – in the most extreme conditions on earth. unlike any other flip phone. Maintain quick and mistake-free communication with large, tactile volume controls and easy-to-use Push-To-Talk, even while wearing work gloves. With robust camera. Or without. Capture images or video with a built-in 5.0 MP rear camera. Or for industries requiring high security, such as DOD, manufacturing and energy, choose the non-camera version. Install, manage and control with the Sonim Scout XPerience. 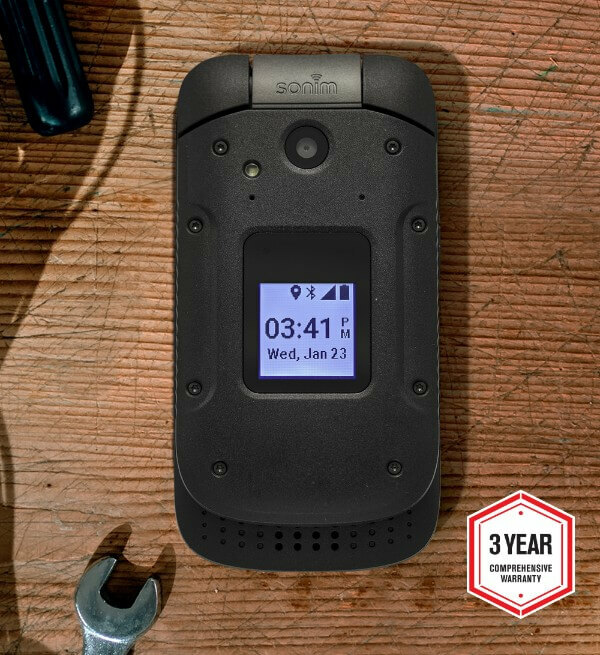 Remote or onsite, deploy devices faster and optimize productivity and app usage with Sonim Scout. Do more, more securely with Sonim SecureAudio 3.5mm Connector. Sonim SecureAudio 3.5mmm Connector ensures your wired, industrial grade audio accessories maintain secure and reliable connections in any environment. Built to industry-leading Rugged Performance Standards, including MIL-810G, and Non-Incendive Class I, II and III ratings, the XP3 thrives in the most hazardous and extreme environments. 100 dB+ speaker and noise cancelation ensure your communication is loud and clear, even over helicopters, sirens and severe weather. Large, tactile and glove-friendly Sprint® Direct Connect Plus® PTT Button and volume controls offer quick, mistake-free communication when it matters most. Sonim SecureAudio 3.5mm Connector provides secure, more reliable connections with wired audio accessories. An unmatched 3-year comprehensive warranty virtually eliminates the cost of device replacement. 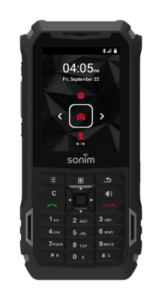 Install, manage, and control communications more efficiently with Hassle-Free Deployment and the Sonim SCOUT XPerience. From ultra-rugged headsets, RSMs and other solutionenhancing add-ons such as vehicle kits, multi-bays and cases, XP3 industrial-grade accessories allow you to do more in more places. Ensure smooth, effective deployment and ongoing operation of your devices with SonimCare, a dedicated team of Sonim professionals available to provide technical support, training, device prep, programming and more.